Our first foal for 2009 has arrived. 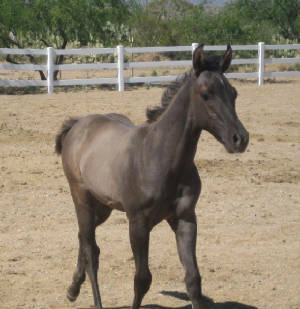 "JAZZY BLUE JAY" is a grulla filly out of a black mare. 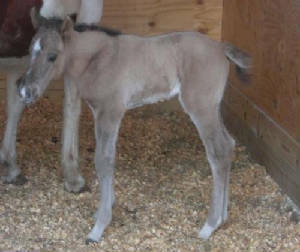 Jay's first colt of 2009 is a solid Grullo out of a Sorrel & WhiteTobiano mare. Top picture is days old. Bottom picture is a couple months later. 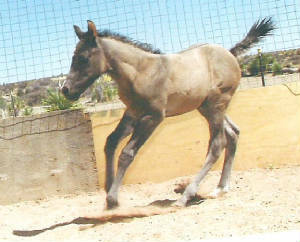 This is "Sailor", a grullo colt out of our mare "Bonnie". 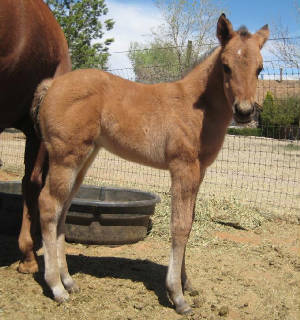 Check out his full sister "Luna" on the 08 foal page. We think this filly will be a Dun with a lot of Dun factor. 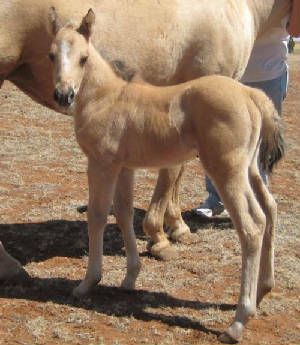 She has a baby doll head (as most of Jay's foals do) and beautiful brown doe eyes. 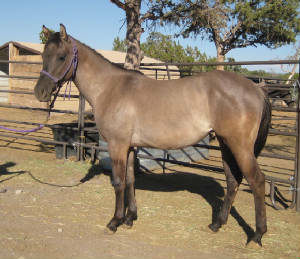 Her Dam is a stocky Zan Parr Bar Chestnut Mare. This fun guy is a grullo colt out of a Black mare. "YES" another COLT out of a Sorrel/White Tobiano mare. He is a beautifully marked Dun Paint. Just love him!!! 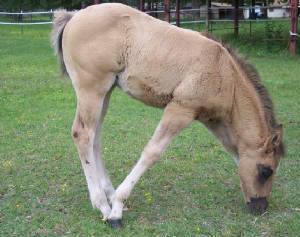 This cutie is a Dunskin filly (Buckskin w/ a Dun stripe) out of a Zan Parr Bar/Two Eyed Jack Palomino Mare. 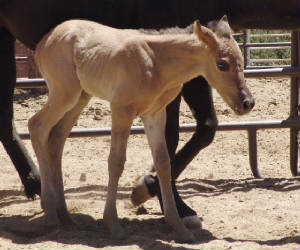 Another Grullo COLT out of a Grulla mare. The large white star is a surprise. The mare and Jay have NO white on their face. Jay has no white anywhere and the mare just has a small white sock. ?? 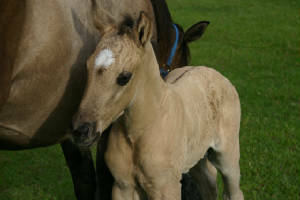 Above is "Crystal" a grullo filly out of a Black Mare at 1 week old. Below is Crystal at 1 year old. Note the difference in color.